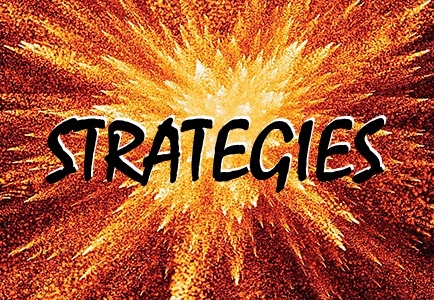 A strategy is a plan of action. Anger management strategies are plans of action for managing anger. You need one--we all do! Everybody's got anger, and it has to go somewhere. The most important thing to keep in mind here is that you can do this! You've got what it takes to be your own best anger management resource. Just stuff it and try to forget about it. This will make you sick and depressed. Try to talk yourself out of it. This might work some of the time, but if you've got really good reason to be angry, the anger will still be there--and it will cause you problems. Try to forgive before you're really ready--this won't work either. All you'll do is push the anger down into your body and subconscious mind, and convince your head that you have forgiven the person or people who wronged you. 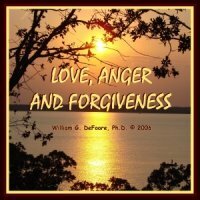 Forgiveness is good and important, but it won't come until the anger issues have been resolved. Find somebody to "vent" to. This might help for a little while, but you're not doing yourself or the person you're venting on any favors here. Unhealthy anger is toxic, and you when you tell somebody you want to vent, it's like asking them, "Hey, do you mind if I dump some gargage on you?" I do anger counseling as a part of my profession, and I don't even let my clients "vent" their anger on me. Wait until you get to a "safe" place like your home, and let it out there. Way too many people use this as one of their main anger management strategies. It means saving your worst for those you love the best. This just doesn't make any sense, and it can destroy your family. Take it out on strangers. Well, those "strangers" are you and me, right? They (we) have to go home at night and try to get some sleep and digest our dinner, like everybody else. Plus, if you go too far with this approach, you could wind up in jail. You need anger management tools that work! "Your tips and worksheets are helpful for individuals seeking to understand their own feelings and to learn how to express anger in more healthy ways." Accept the fact that you have anger and you always will. The good news is that your anger can be healthy. Take a good long look at the stories behind your anger, and write them down. You may need some anger counseling to do this. Once you know where your anger comes from (your stories), you will have more understanding and compassion for yourself. This will help you calm down, which of course really helps with anger management strategies! One of the most important anger management tools you need to learn is deep breathing and physical relaxation. These anger management techniques will also help you to relax and refocus when you're angry. 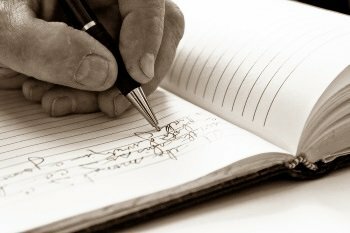 Keeping an anger journal can be one of your most effective anger management strategies. This won't solve all of your problems, but it gives your anger somewhere to go--out of your head and onto the paper! The technique is simply to let your anger speak--don't be nice or reasonable, because your anger isn't! Then take a look at what you've written--you'll see that that is not who you are. You are so much better and wiser than just your anger. Physical exercise on a regular basis can be one of your best ongoing anger management strategies. Again, this alone won't do the trick but it's part of the winning approach! Vocal release--roaring as loud as you can into a pillow (so it isn't so loud) can get that pressure off your chest, and might make it easier to breathe. I could go on and on here, but then I would be re-writing my books, CDs and audio downloads and this whole web site! So, take a look around on this site, and you'll find lots more anger management strategies, anger management tools and anger management techniques that will help you reach your goals! Remember, you can do this! You are a good person, and all you need is the right help to get the job done--because you are your own best anger management resource!